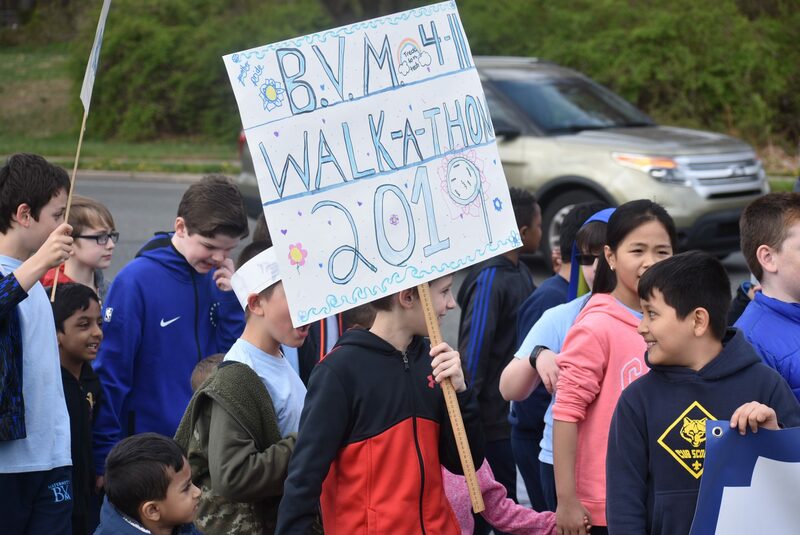 Maternity BVM students on Friday participated in the school’s third annual Walk-A-Thon to celebrate raising over $33,000 to bring technology into the school. 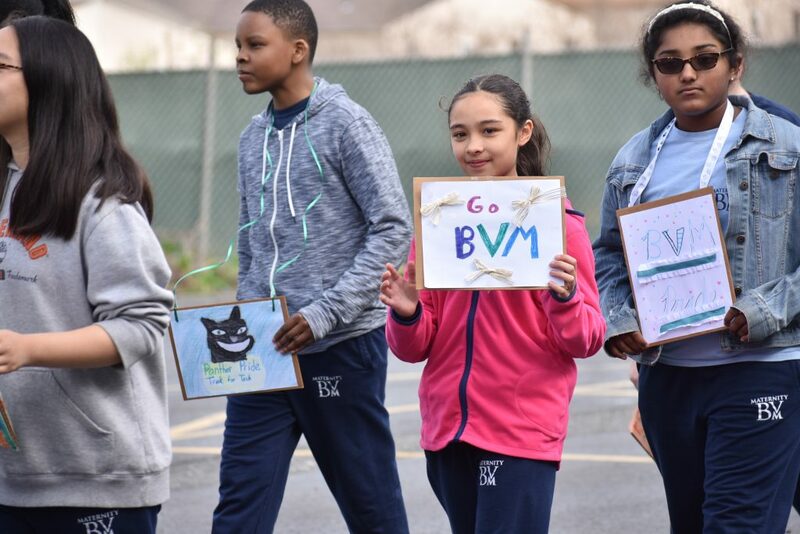 Foot traffic was a little busier and louder than usual on the streets surrounding Maternity BVM School on Friday, as more than 500 young pedestrians walked the streets holding signs and chanting their school’s name. 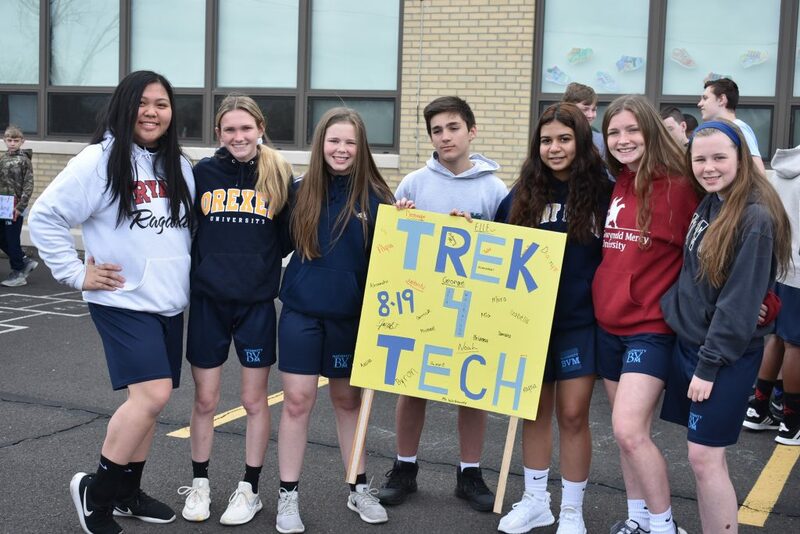 The entire student body and staff were able to participate in the school’s third annual Trek for Tech Walk-A-Thon, an event held to emphasize the school’s fundraising efforts to bring more technology into the classroom. 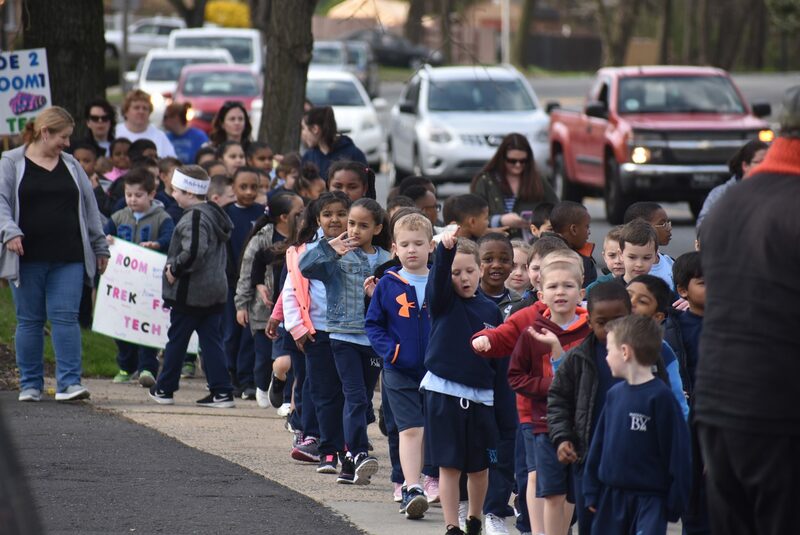 This year, students had a little extra to celebrate. 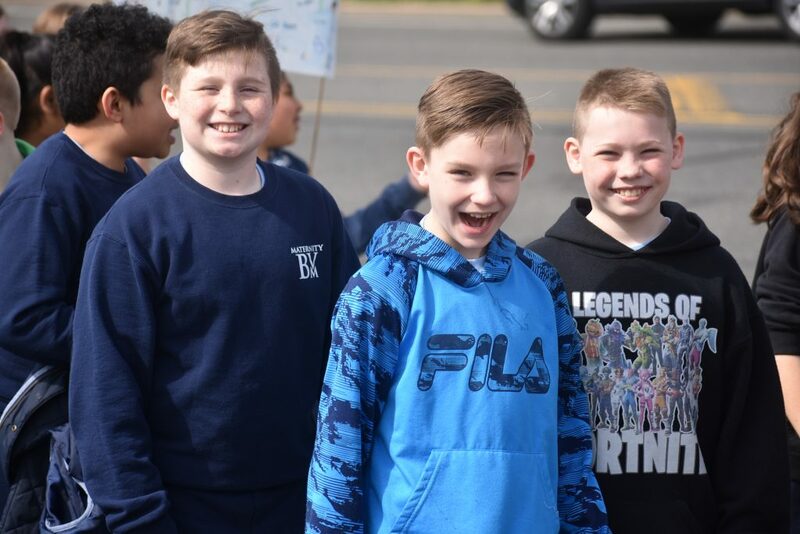 They not only cleared their $20,000 goal, which was the largest since the walk started – they far exceeded the goal, bringing in approximately $33,500 to the school. “We have never raised this amount of money, ever,” said Principal Mary Zawisza. 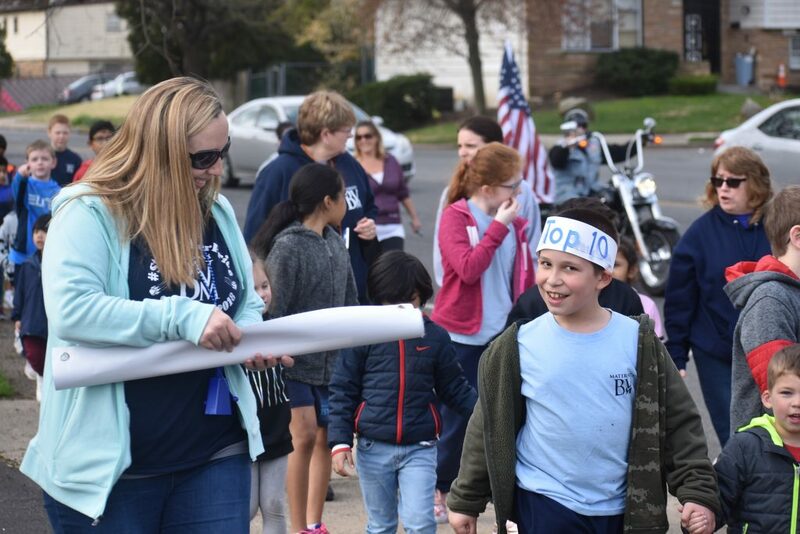 The top earning student raised over $1,000, with the entire top 10 raising more than $500 each. The top donor was Raymour & Flanigan with a $700 donation. 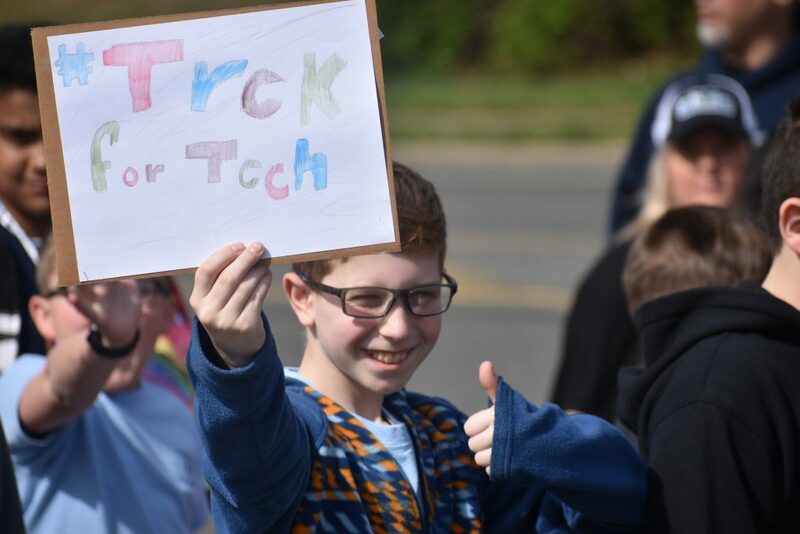 The money will be put toward purchasing additional Google Chromebooks, with the goal of having enough to dedicate one cart to each grade in the K-8 school. The school is also looking to add smart televisions into the 6-8 grade classrooms. 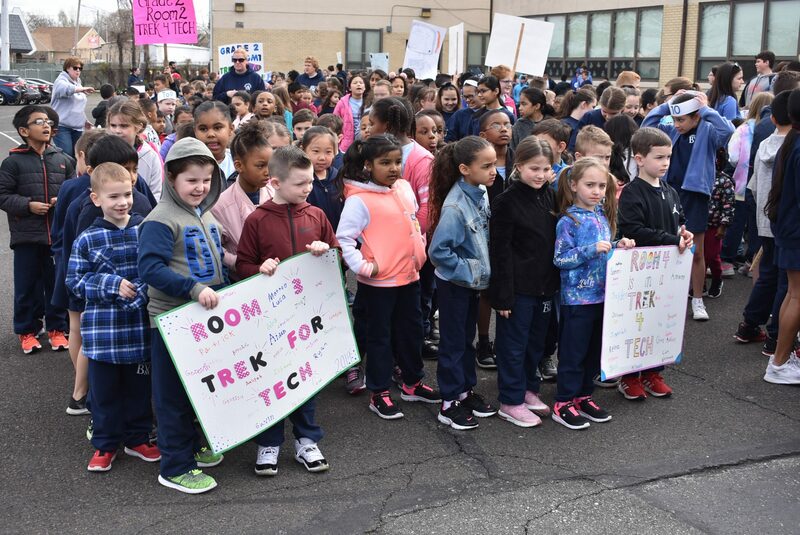 This would allow moving the current smartboards into lower grade classrooms, Zawisza said. Apt to the theme of the walk, this year’s fundraising was conducted entirely online, with each student receiving a website they could raise funds through. 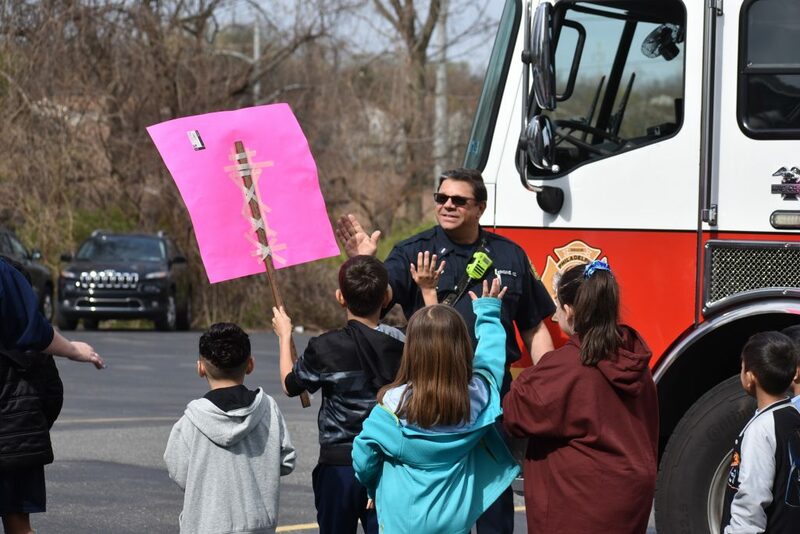 Zawisza credited the move to digital as a possible reason for the increase in funds raised. 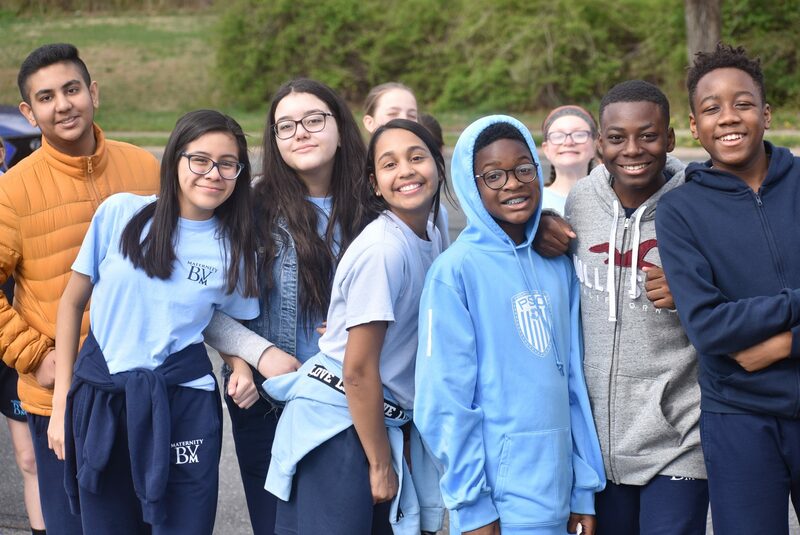 Students were able to share the links with their families and friends on social media, which helped word spread. The walk was organized by Michael McDonough, advancement director at the school. 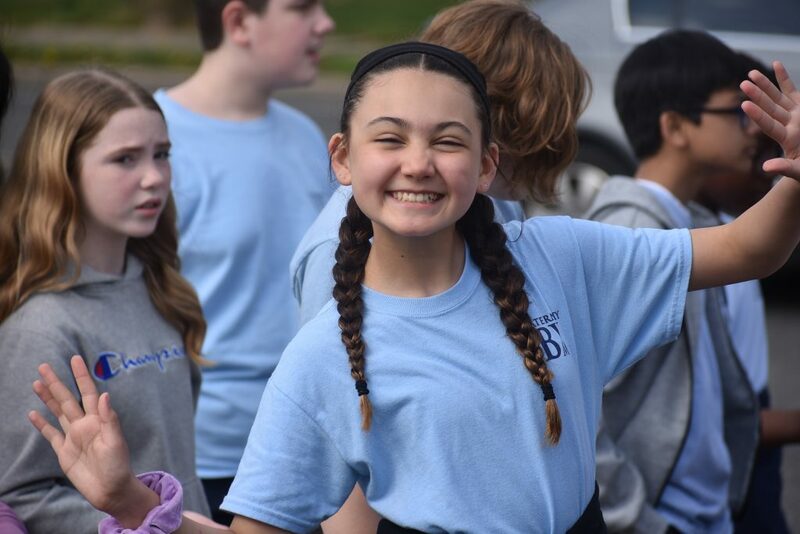 Last year’s walk raised about $14,000. 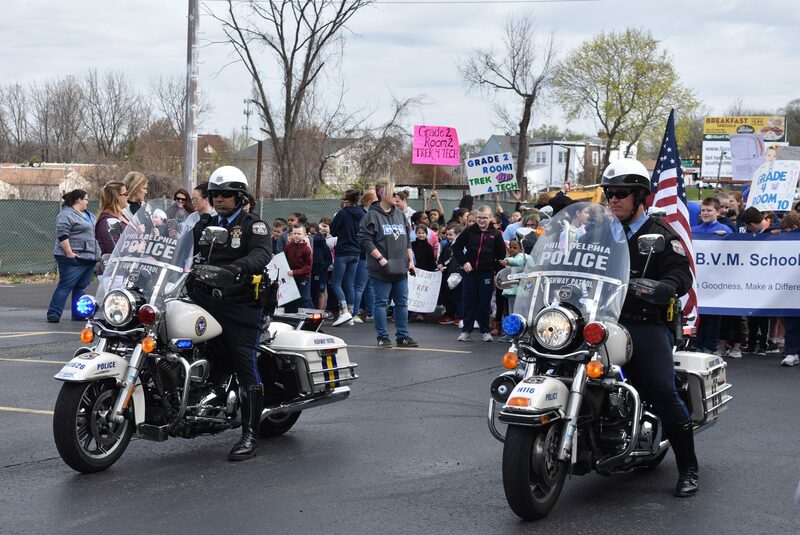 Students left the parking lot at 10 a.m. following police escorts on motorcycles, and walked about a mile on surrounding sidewalks. 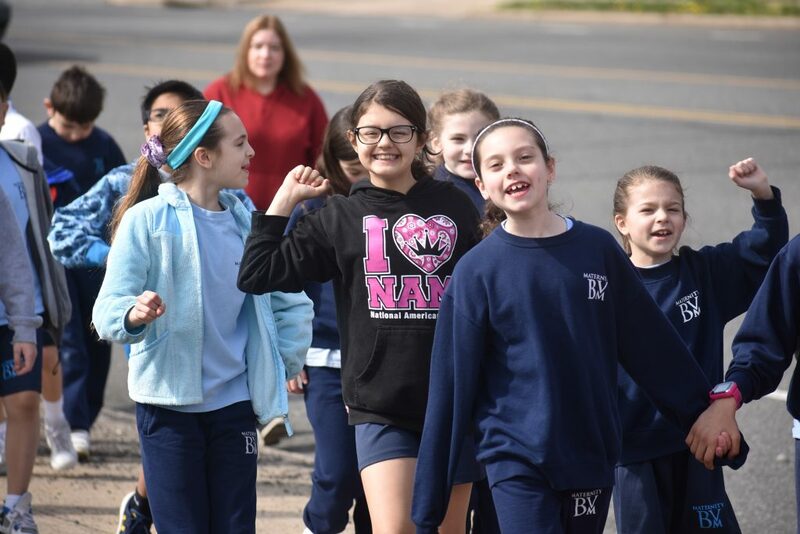 They walked down Old Bustleton Avenue, turned onto Bustleton and headed back to the school.